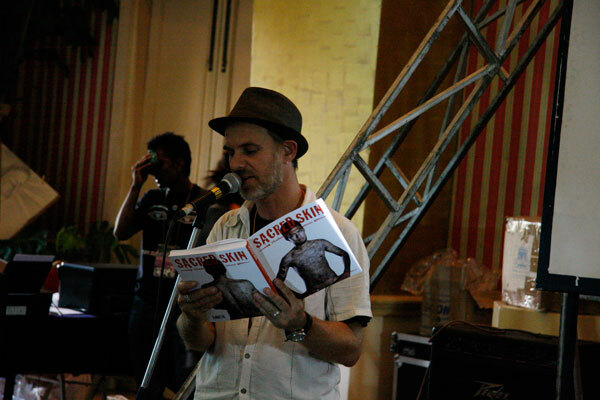 Evidence of my presentation of Sacred Skin, the first English language book on Thailand’s sacred tattoos (co-authored with photographer Aroon Thaewchatturat and published by Visionary World), at the Nepal Tattoo Convention, held at the Yak & Yeti Hotel in Kathmandu from April 27th to 29th. Great event, great venue, amazing and patient audience! Sacred Skin has garnered some thirty reviews around the world, including three pages in TIME Magazine, as well as fantastic write-ups on CNN, in the Courier International, El Mundo and many other publications. Both arte and Die Zeit have produced documentaries about Sacred Skin. The introduction to Sacred Skin, Tom Vater and Aroon Thaewchatturat’s new tribute to Thailand’s sak yant, or sacred tattoos, begins with an agonized exclamation: “Uaaahh!” So it should. While modern tattoos are efficiently (though not exactly painlessly) applied with an electric machine, sak yant are hand-hammered into your wincing body with a long needle. Sak yant are etched onto both soul and skin, as Thai photographer Aroon’s portraits record in hypnotic detail. The mostly monochromatic designs borrow from Buddhist and Hindu mythologies, and the space between them is often overlaid with an ancient Khmer script that German writer Vater likens to “mysterious instructions.” Designs are executed by priestlike figures who have their own secret ink recipes and recite prayers while they work. Their customers see themselves as disciples, bound for life to their master and feeling a kinship with all those bearing his designs. Some disciples are also in thrall to the tattoo’s spirit. That introductory “Uaaahh!” emanated from a man who believed he was possessed by the spirit of the tiger tattooed on his torso. Vater describes him careering around a Buddhist temple near Bangkok in a trance so violent that it took five soldiers to subdue him. Prominent among sak yant enthusiasts are police, soldiers and gangsters, who claim bullets bounce off their magical second skin. Many Thais still associate tattoos — even sacred ones — with lowly or violent professions, but there are two things wrong with this view. First, explains Vater, many devotees give up lives of crime after getting sak yant, believing the tattoos’ potency depends upon their living decent lives. Second, the appeal of sak yant is broadening, not just among trendy young Thais but also foreigners, partly thanks to Angelina Jolie, who has a tiger sak yant on her back. 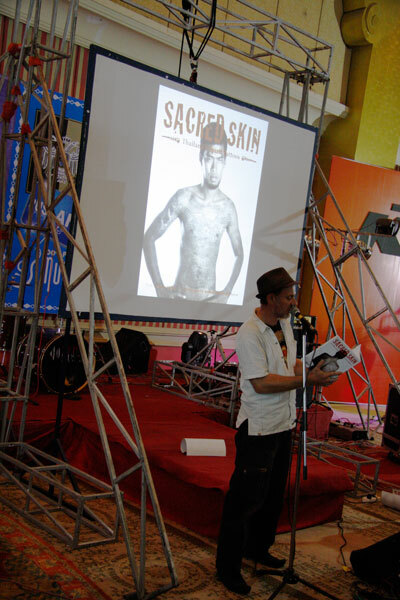 With its stunning photos and exuberant writing, Sacred Skin will further popularize a centuries-old tradition. In Thailand, sak yant have survived decades of economic development and Western influence. After warding off these modern forces, bad luck and bullets should be easy. 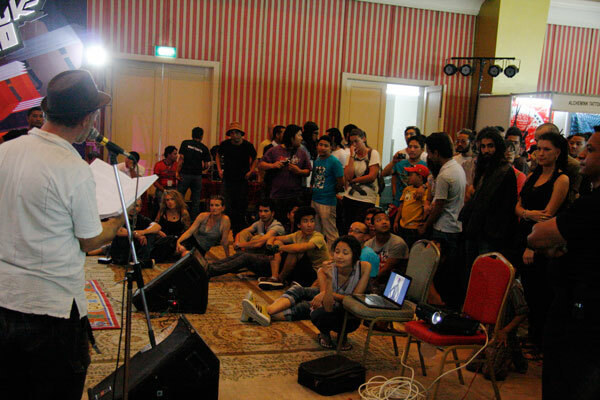 All images of my presentation by Bijay Shrestha.